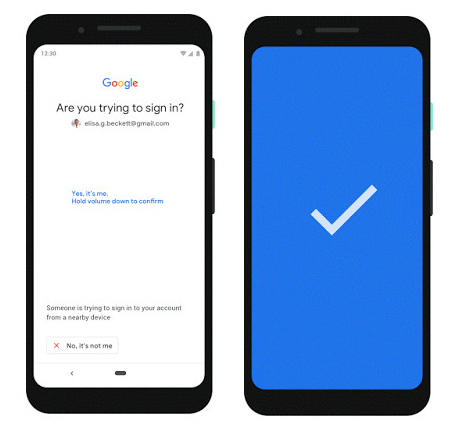 Google has expanded its two-factor authentication offering for Android smartphones, making it even easier to authenticate your account logins. The company announced in a blog post that you Android smartphone can now be used as 2FA key when logging into another device. To activate your smartphone’s built-in security key, you will need a handset running Android 7.0 or above and a Bluetooth-enabled ChromeOS, macOS X, or Windows 10 computer with a Chrome browser. Once this is completed, users can authenticate login attempts by holding down the volume down button on their smartphone when prompted. This will roll out in a few days for everyone in beta. LOL! Google is just trying to make your Android more secure with Android phone 2FA. that’s all! Did you notice that GLO network drains down smartphone battery?